Abstract: Massive amount of movement data, such as daily trips made by millions of passengers in a city, are widely avail- able nowadays. 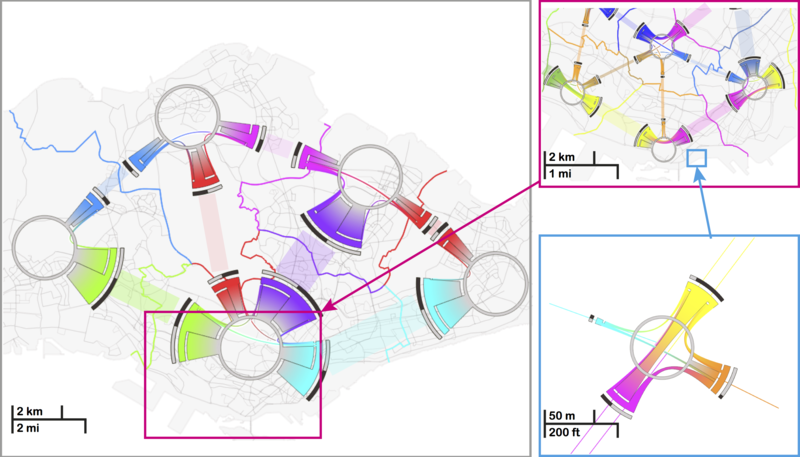 They are a highly valuable means not only for unveiling human mobility patterns, but also for assisting transportation planning, in particular for metropolises around the world. In this paper, we focus on a novel aspect of visualizing and analyzing massive movement data, i.e., the interchange pattern, aiming at re- vealing passenger redistribution in a traffic network. 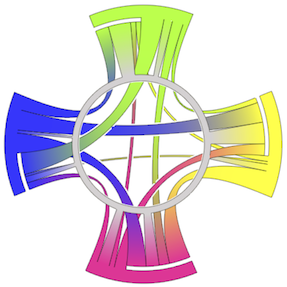 We first formulate a new model of circos figure, namely the interchange circos diagram, to present interchange patterns at a junction node in a bundled fashion, and optimize the color assignments to respect the connections within and between junction nodes. Based on this, we develop a family of visual analysis techniques to help users interactively study interchange patterns in a spatiotemporal manner: 1) multi-spatial scales: from network junctions such as train stations to people flow across and between larger spatial areas; and 2) temporal changes of patterns from different times of the day. Our techniques have been applied to real movement data consisting of hundred thousands of trips, and we present also two case studies on how transportation experts worked with our interface. This entry was posted in Publication, Research, Software and tagged ETH Zurich, EuroVis, Future Cities Laboratory, Portfolio, Visual Analytics, Visualization on May 14, 2013 by robot.